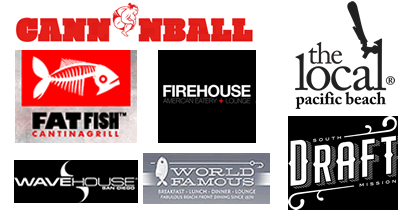 You are here: Home / Blog / Enjoy the Good Things in Life in La Jolla! La Jolla is the jewel of California, and one visit will make you never want to leave. Home to stunningly gorgeous cliff-side beaches and parks, the natural beauty here has enticed some of the most brilliant scientists and artists from around the world. La Jolla has become synonymous with luxury and refinement, and a visit here should give you a taste of that. 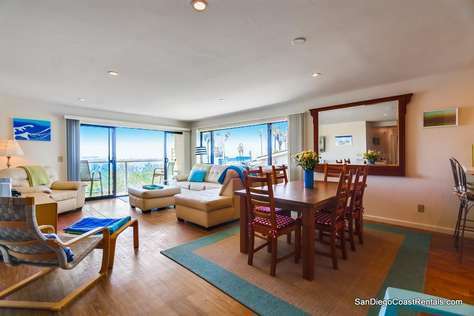 Our La Jolla beach vacation rentals might be the perfect vacation rental for you, so that no matter whether you are here for business or pleasure, you’ll experience true convenience and leisure. 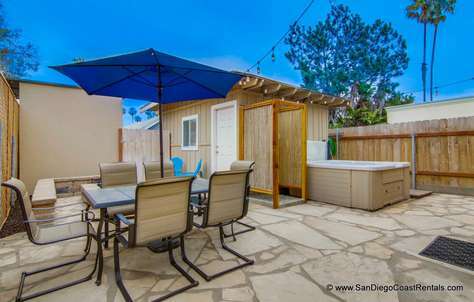 San Diego Coast Rentals can make it happen for you! Breakthroughs Happen Here: There are many reasons you could find yourself spending vacation time in La Jolla. Some of the world’s most advanced medical research happens here, either at the beautiful campus of University of California, San Diego; or at the world-renown Scripps Research Institute; or even at any of the dozens of other foundations and biotech companies here. La Jolla is also the center for the Scripps Institution of Oceanography, which conducts cutting edge research in Earth sciences. In addition to science and technology, La Jolla has long been home to open minded thinkers and free spirits too! Black’s beach within La Jolla is famously the first clothing-optional beach in the country, and the Museum of Contemporary Art has been breaking boundaries for decades, in a tradition that stretches back to when La Jolla was first established as an art colony in the late 1800’s. A Million Ways to Spend a Day in La Jolla: Fine tastes naturally follow from such an environment, and La Jolla delivers with class. Torrey Pines Golf Course offers an amazing 36 holes of golf, and hosts the annual Farmers Insurance Open every year, in addition to having been a U.S. Open location. The La Jolla Beach & Tennis Club meanwhile offers exclusive leisure and sporting for their elite membership. The La Jolla Symphony and Chorus offers amazing nights out with distinction. Discover San Diego’s thriving vineyards with a wine tour, or go shopping in the vibrant La Jolla Village! Even the Westfield UTC shopping center is so incredibly well designed you’ll forget it’s “just a mall”! The Waves and Sand Are Calling: Whether you come for a conference of leading minds, or to experience culture, arts, and luxury; there is still one thing that will demand your attention: the beach. La Jolla has several different beaches, each of which are among the most stunning shores you will see in your life. Learn to surf while you’re here, or explore the caves set into the cliffs by kayak! If you’re brave enough, those same cliffs offer a particularly unique opportunity for adventure: paragliding! Whatever you do, at least spend some time at the beach just enjoying the sand and warm air. It would be a shame to pass this kind of opportunity up, which is why you should consider staying in a vacation rental. 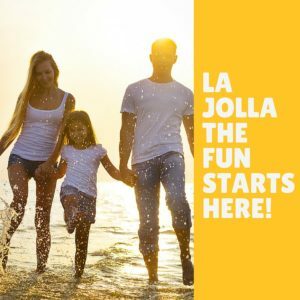 Put yourself just a hundred yards from the beach rather than a few miles, and experience what La Jolla living is really like. 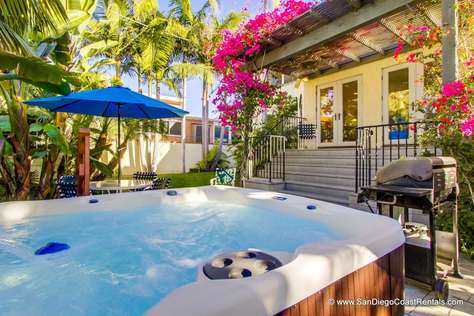 Contact San Diego Coast Rentals today to uncover this priceless jewel for yourself.